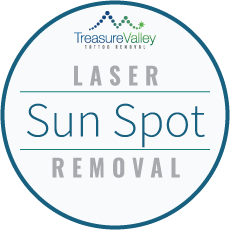 Treasure Valley Tattoo Removal uses a state of the art and FDA approved Q-switched Nd:YAG Laser featuring TruePower Technology. With this technology, we have the ability to remove tattoos that were once thought to be untreatable. Lasers direct energy at the ink in your tattoo for a fraction of a second. 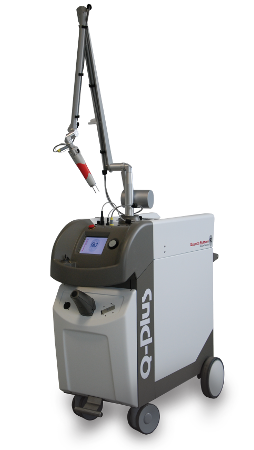 The laser energy passes harmlessly through the outer layer of skin to target the tattoo ink directly. This energy fragments the ink in to smaller components, which allows your body to absorb the ink and clear it naturally. Laser tattoo removal works by breaking up tattoo ink particles that are trapped in the skin. To achieve this, the laser is pulsed over the tattoo, directing light energy toward the ink. The energy is absorbed by the ink particles, which instantly shatter into smaller fragments. If the ink does not absorb the laser light, the ink does not shatter and the tattoo will not be removed. A laser with differing wavelengths is necessary to remove all colors of ink. Pay for and complete the number of treatments we recommend and if any ink remains, Treasure Valley Tattoo Removal will continue to provide free laser treatments under our tattoo removal guarantee program (available with a package). As an integrity based sun spot and freckle removal facility, we will guarantee your satisfaction. Come in for a free consultation and we will formulate a plan to help clear up your skin. Call now for your free consultation.